The leading mobile manufacture company Nokia has launched 2 new asha series phones called Nokia 205 and Nokia 206 and comes with same price tag. 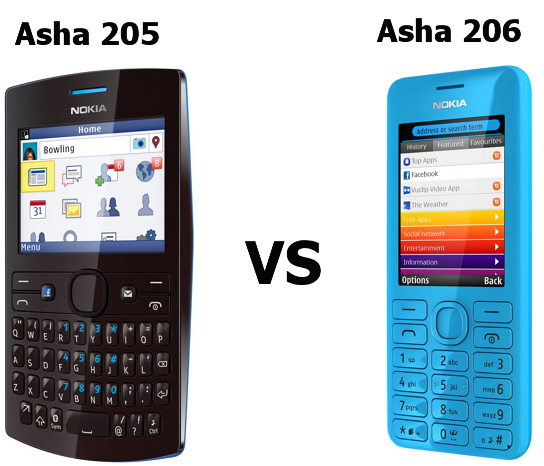 The Nokia Asha 205 and Nokia Asha 206 are the first Mobile Phones devices to include new Slam feature. Slam allows consumers to share multimedia content like photos and videos with nearby friends faster than Bluetooth. And these two models available on both single SIM and Dual SIM. These two phones expected to start shipping in the fourth quarter of 2012 in some countries.